Originally hailing from Buffalo NY, Peter Case would travel out to California to find his fame and fortune as 1/3 of the first real DIY band of all time, The Nerves. Consisting of Case, downstater Paul Collins, and California musician Jack Lee, the Nerves changed the course of pop history. One could argue that they were the originals, the precursor to today’s online, independent rock band. With no contract and no major (or minor) record company backing, they toured the midwest on a tour budget of 0. Zilch. Nadda. And they made enough of an impact to have a hit song, albeit performed by Blondie. Hangin’ On The Telephone would become an underground favorite of power pop fans and an influence to countless young artists and bands since. Some thirty years later, 2/3 of The Nerves are back together, at least for a short tour. This spring, check out Peter Case and Paul Collins at a venue near you. You’ll be privvy to the best melodies on the planet and a real pop education. Special note for those located in North Carolina: Peter Case has been known to play in the state, most recently in Greensboro, Raliegh, and Winston-Salem. I would expect that a future tour date will be announced for the general area. Fast forward to the present day and you have two separate groups with Peter Case & Band and The Paul Collins Beat. Peter Case has a large adult following in the world of folk music and singer/songwriters. 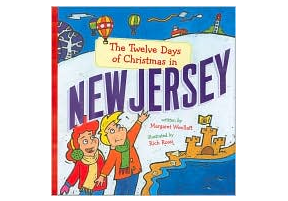 Case has won words of praise from artists such as Bruce Springsteen. With kind words from punk artists such as members of The Ramones, Paul Collins has a large youth fanbase consisting of teens, twenty-somethings and thirty-somethings. Collins owns a partnered booking agency called The Beat Army, which focuses on booking new rock bands and organizing tours. In 2011, Paul Collins performed live as a guest with Green Day. Their frontman, Billie Joe Armstrong is an avid fan of The Nerves and has been covering the song Walking Out On Love as part of the American Idiot Broadway musical production. 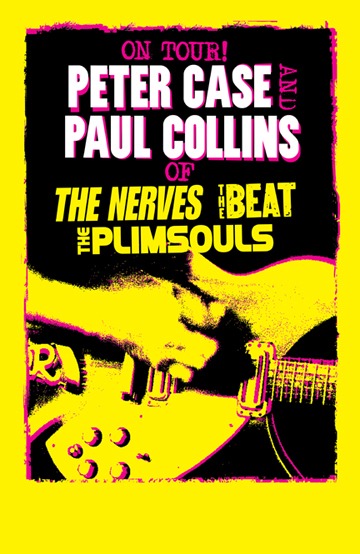 For many years, fans in the audiences of Peter Case and Paul Collins would request songs from their group The Nerves. Both artists have embraced and accepted the popularity and legendary status of The Nerves. Its hard to categorize The Nerves in one particular genre and further proof would be the cover versions of their songs as done by modern indie rock artists such as Cat Power. 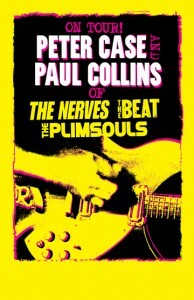 With any luck Im hoping Peter Case and Paul Collins will record a live album and film a live concert DVD during their tour tribute to The Nerves. even more obvious what songwriting masters they both were. And I must add, Paul Collins is one helluva fun guy to be around. Paul just did and interview where he shares a bit of what he has planned for the future. You can find it here.